Located in London's Trafalgar Square, the National Portrait Gallery was founded in 1856 and holds "the most extensive collection of portraits in the world". Pim Baxter is Deputy Director of the National Portrait Gallery and an inspiring champion of the arts. She studied Arts Administration at City, University of London while working in marketing and then development at the National Theatre. Pim has succeeded in a range of management and leadership roles across the arts, including opera, theatre and the visual arts. She likes to share her knowledge and expertise by mentoring developing managers. 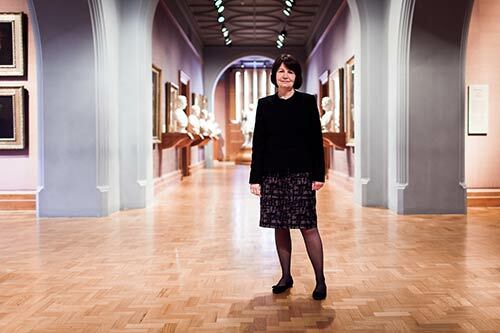 She is a board member or chair of several arts and civic society organisations, including Central School of Ballet and the Women Leaders in Museums Network. She has recently become a Lay Canon at St Paul's Cathedral. Find out where a Culture & Creative Industries course at City could take you.